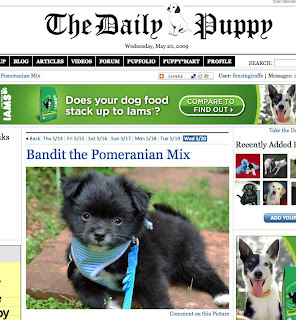 I am the Daily Puppy! 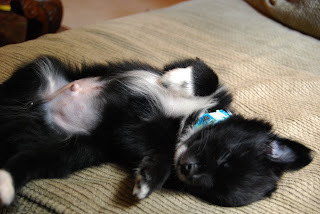 I am a black and white pom-chi. You may think, awwwitssocute, but do not mess with me - I am not a toy. I may be only 3 lbs now, but I am very much a big dog at heart. 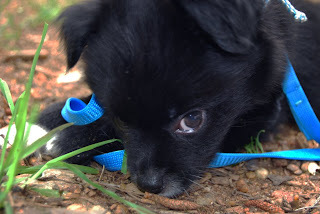 I love to bite, dig, and roll in dirt. I eat bugs and socks. I do not sit in purses, wear jewels, or Gucci shirts. I am a dog, not an accessory.